Cute Creative Crafter : New Skirt! Hey Guys, so today I will be sharing a post with you about Fashion. I know you guys don't really get beauty/fashion posts but, I thought that I would change it up a little bit. 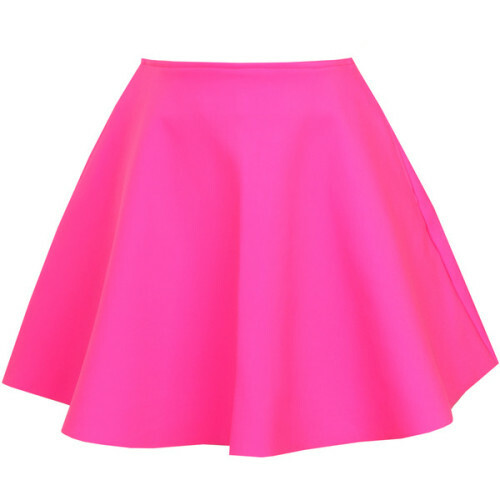 Recently, I went shopping at Aeropostale a found this adorable hot pink skirt. It is a thicker material so great for fall and winter. This skirt was on the clearance for $7,99. WOW! I thought that it was such a great deal and that I couldn't pass it up. I was so excited to wear it that I wore it to my sisters birthday this month. I'm not gonna lie I was a little hot but not extremely. I paired this skirt with a navy blue top that has a white design. This skirt can be worn with so many different tops, shoes, and even jewelry because it is a solid pink skirt. That is all for this post and I hope you guys enjoyed a change in posts. Remember to always stay Cute, Creative and Crafty!